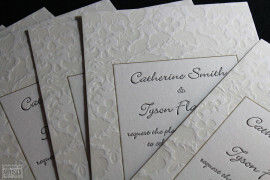 Your letterpress wedding invitations are the most important piece of printing you’ll ever commission. So shouldn’t something so precious be of the absolute highest quality? You’ve had the good taste to select a prestige process – and the finished result should reflect this. 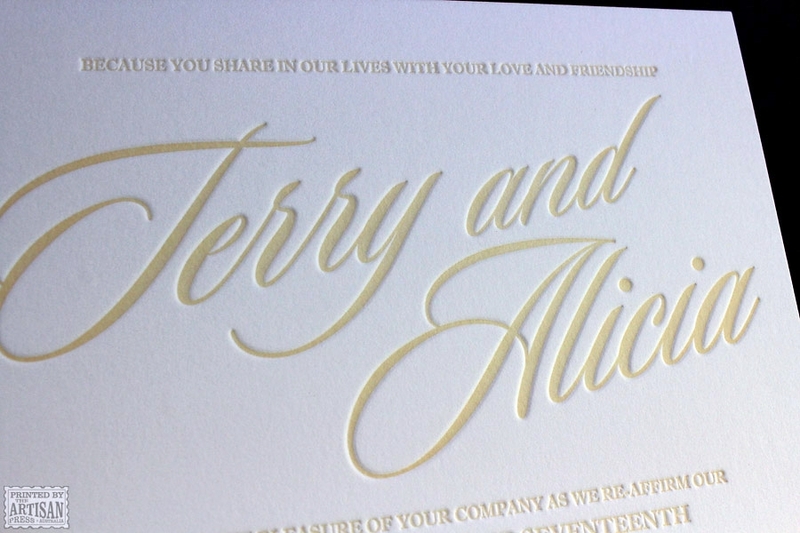 Our clients are true romantics who appreciate the finer things in life. We know it’s important for you to declare your ‘style’ or ‘brand’ and to create excitement and anticipation of your carefully crafted wedding. You want your world to witness your love. And we want you to begin the journey as you mean to go on, elegant, stylish, with true meaning and forever. 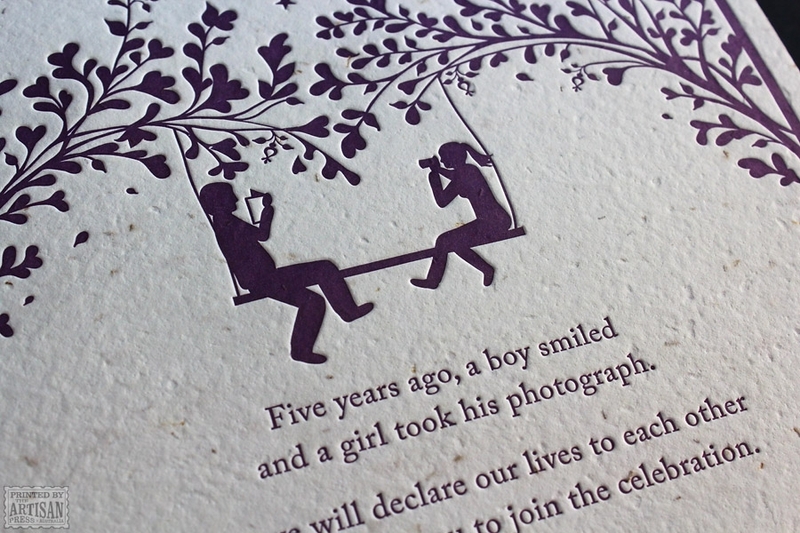 For the most meaningful day of your lives, shouldn’t your love story be forever inscribed in letterpress? After all, love is universal, but we know every couple is unique. Be inspired by our customers’ tales of love, romance and the search for the perfect wedding announcement with The Artisan Press. "They took our breath away!! 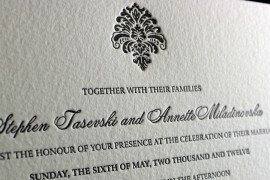 The results were even better than I had hoped - the detail on the main invite is just exquisite. It's absolutely beyond my expectations! Thank you so so much for putting in such an amazing effort!" 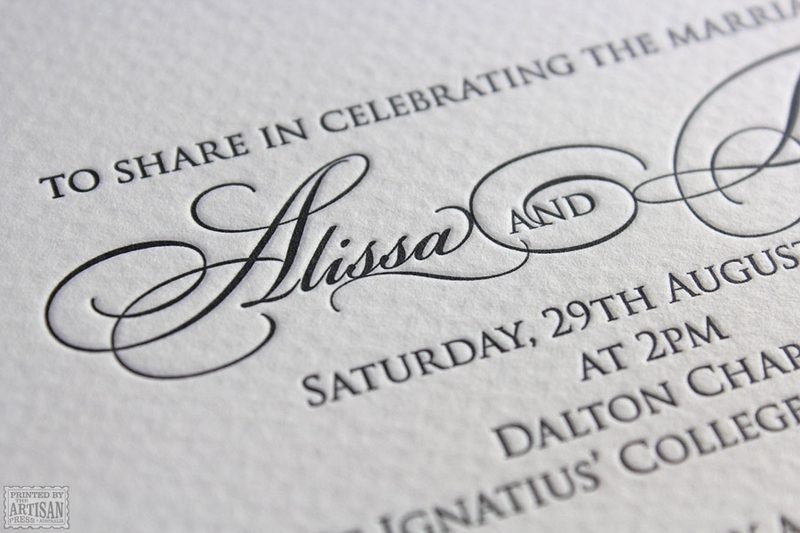 "The invitations are beautiful, really really beautiful. 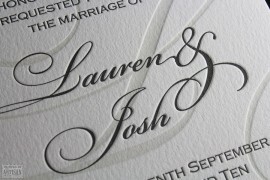 They really capture everything we wanted to convey, something so beautifully crafted as the beginning to our special celebration. The colour is perfect! 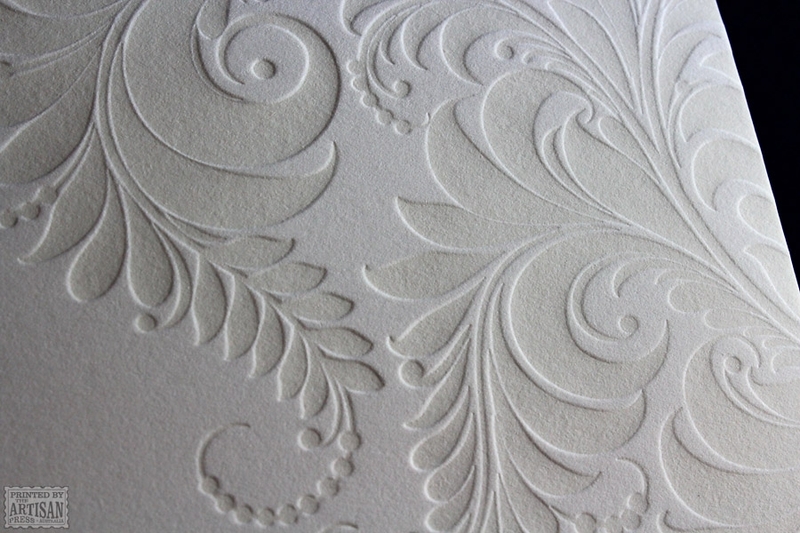 It has been lovely to deal with the Artisan Press, so very down to earth and real." 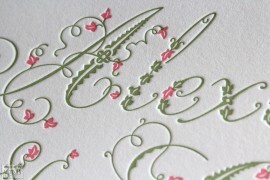 "I really wish all the other aspects of organising our wedding had been as much fun and as satisfying as doing the stationery. 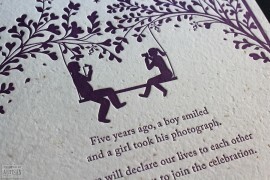 They are the most beautiful invitations I've ever seen. 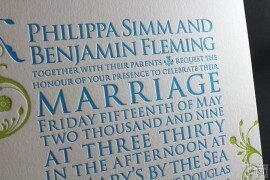 The colours look great and the quality of the printing is just beautiful. Even the smaller items like the place card look unbelievable with the level of detail... You've also been so great to deal with throughout the process, really going the extra mile. 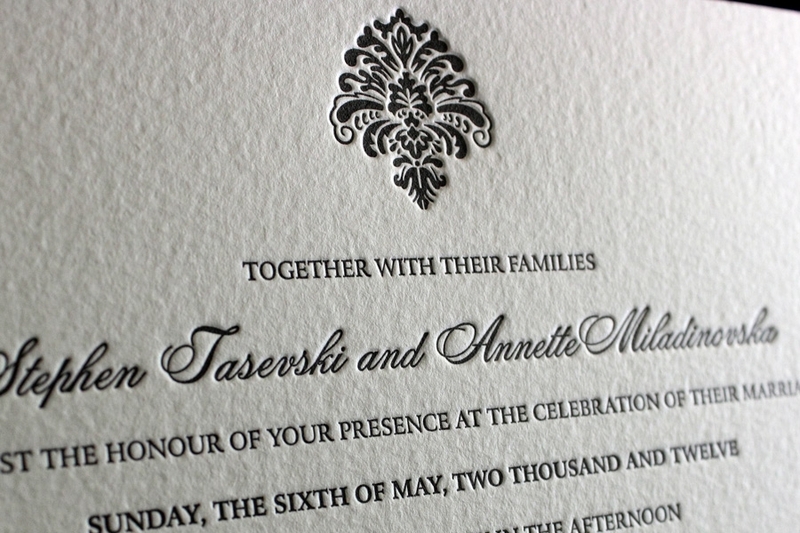 We've got a couple of spares and are planning to frame our collection as a keepsake…"
"Thank you for the most outstanding service and premium printing of my client's wedding stationery. We all agreed it was like receiving the first wedding gift. 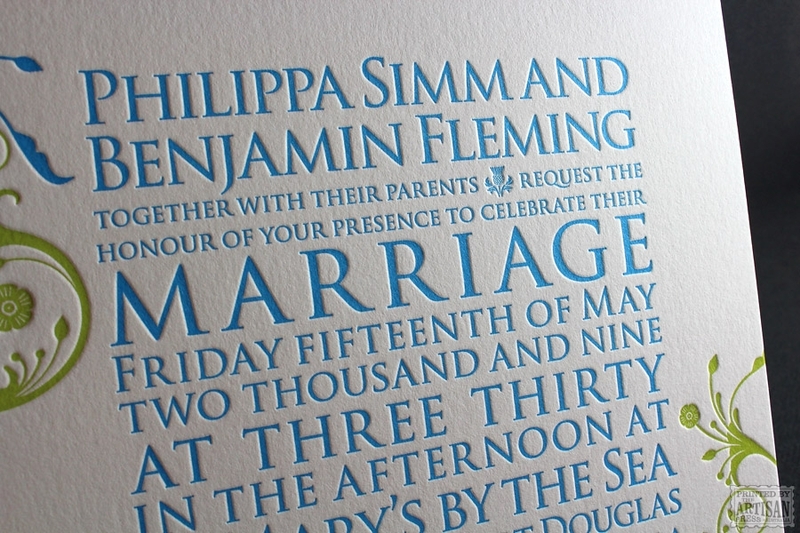 The attention to detail from colour matching the silver PMS to identifying a spelling error on the placecard list and even the careful packaging of all the pieces has been incredible. 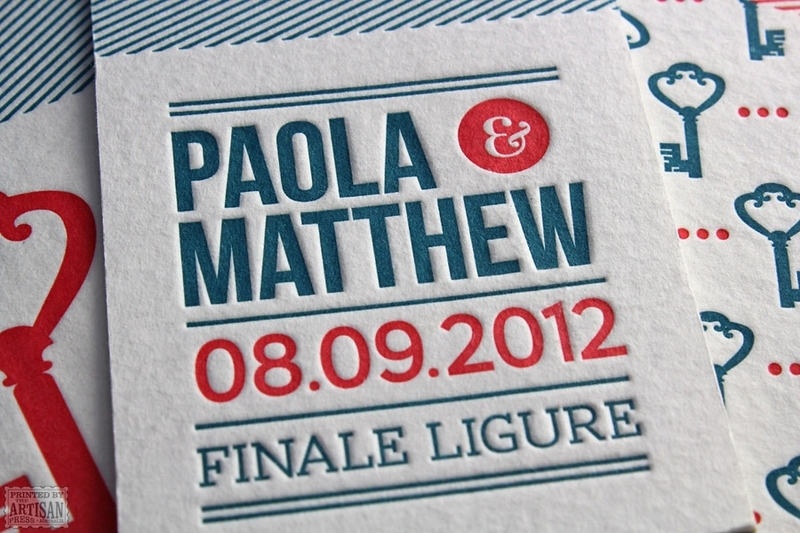 And the letterpress printing was everything and more we could have wished for. Thank you for the genuine support you have given me through this process. I could not fault your level of expertise for a minute ..."
"Many thanks for putting a priority on our job, one less thing for the bride to worry about! 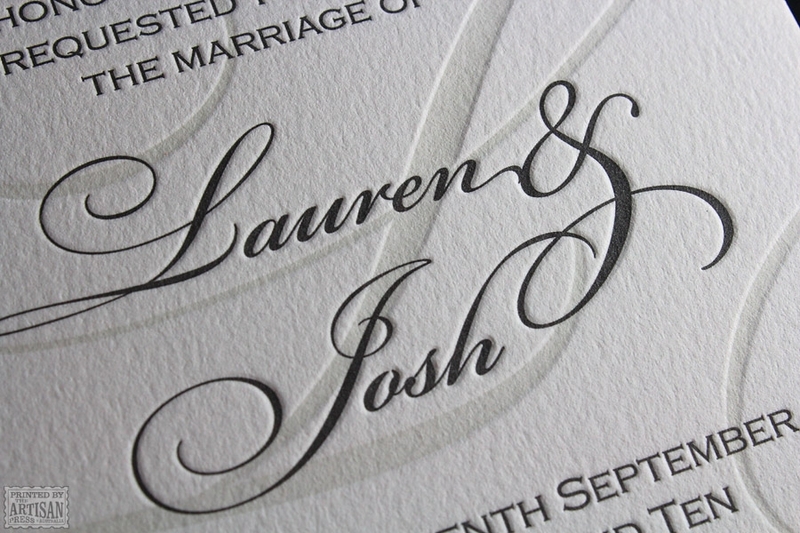 We had originally discussed looking at some of the US-based letterpress services but I doubt we would have received such excellent service." I have had a lot of people asking about those invites and where they were printed, so have been handing out your details all over the place." 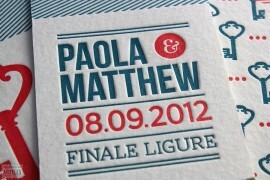 "... we are thrilled with our invitation set, they are even better than we'd hoped! 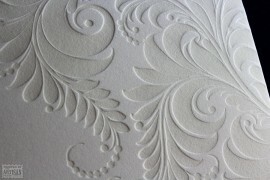 The texture and weighting of the paper is perfect for the pressed finish, and the text just sweeps across the page in a romantic yet sophisticated fashion." You have made this process so easy for us and we won't hesitate to recommend and use you in future!" "I'm actually a packaging Finished Artist with a prepress trade background. So I like to think I can spot good print when I see it... Wayne's fine printed detail and process throughout was perfect. Pleasure to deal with. 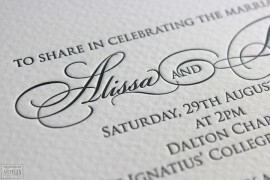 I know mine were not your traditional invite design, but what can i say... they are absolutely awesome. The impression is perfect and overall result is exactly what I was after. 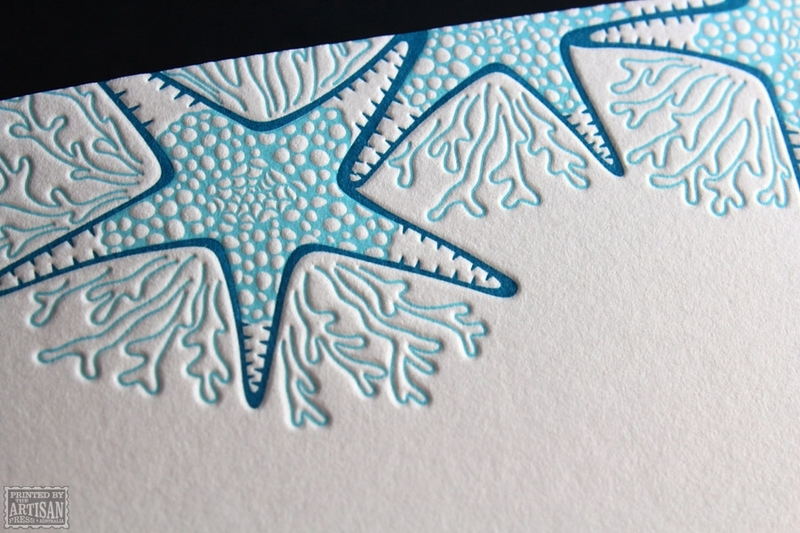 I will definitely be plugging The Artisan Press to anyone and everyone." 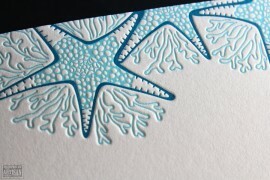 "We received our order... and no surprise, they were fantastic and we love them. 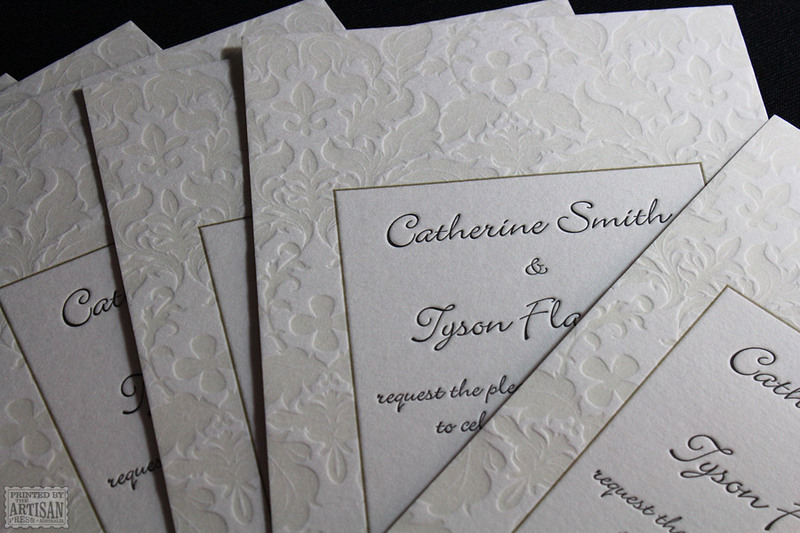 You've done such an amazing job with our invitation suite - you've really brought our vision to life and have created a suite that compliments our wedding and our personalities perfectly. Wayne as you said very early in the piece, this is the most important paper purchase we've made. It definitely was and your professionalism and guidance made that a great experience!" 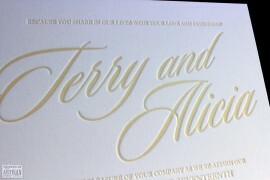 "The invites look amazing! Thank you for all your work, it really is stunning. You have been incredibly easy to work with, answering dozens of my questions (no matter how trivial they may sound at times) and have been a great pleasure to deal with. We could not be happier and are extremely pleased you have created such wonderful pieces of art. 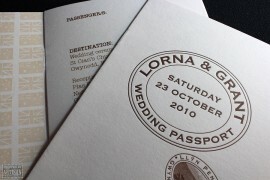 You were highly recommended by several brides and they were not wrong when they said The Artisan Press is the best place to approach for excellent service and fantastic results. Our wedding will be all the more special thanks to you!